Do you feel like the “mean parent” for telling your kids not to do this or that? Here’s what to do when you’re telling your child no too often. Maybe you find yourself in a similar situation. You tell your kids ‘no’ even before they’ve misbehaved. Or maybe your child deliberately disobeys and you tell her ‘no’ and ‘don’t all day long. Side note: When my husband and I were first-time parents, we vowed never to say “no” to our child. We feared he’d retaliate and say “no over and over. Well… all that ever did was encourage him to find another word that meant the same thing. Whenever he didn’t want to do something, he’d say “Stay!” instead. Go figure. Keep off-limits items just that: off-limits and out of reach. When our kids grab scissors, it’s also our fault for placing it at an accessible place to begin with. Sure, we can tell them not to grab the scissors over and over and get frustrated when they don’t follow the rules. But if the scissors are sitting within easy reach, we should remember not to put them there in the first place. Keep an eye on your kids. Whenever my four-year-old seems too quiet, I know trouble is brewing. Just the other day, I was thinking how awesome it was that he playing so quietly. Then I found him dabbing my foundation all over the counter with the makeup sponge. It took all of me to remind myself that he didn’t know any better. That I should’ve put my makeup out of his reach. We’d encouraged him to use a sponge with paint, the likely connection that drove him to do the same with my makeup. Give your kids appropriate items to play with. I could keep grabbing my nine-month-old each time he crawls to the Christmas tree to bat the ornaments. Or I could just show him a similar toy and redirect his attention elsewhere. On the spectrum of saying ‘Don’t…’ and ‘no’ too often or not enough, parents are likely to go bonkers on either end. Said too often, you’ll feel like a mean parent, not enjoying your kids and policing them instead. Not said enough and your kids will control the household to chaotic heights. Instead, aim for a balanced middle ground. Some situations will need you to stand your ground. Others (ahem: balancing an older kid with a newborn?) call for more leniency for the sake of everyone’s sanity. Even though we’re supposed to guide and teach our kids, it can feel draining saying “no” all the time. Instead, learn to prevent misbehavior in children in the first place. Be consistent with the rules so your child knows what to do. Keep your cool so the situation doesn’t spiral downward. And finally, pick your battles—not all are worth your energy. 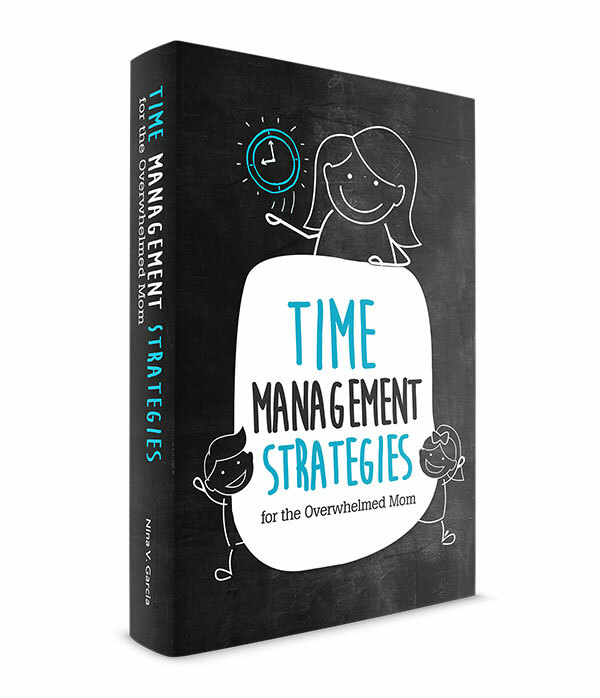 Soon, you won’t find yourself being the “mean parent” saying “no” all the time. Even if it looks like they’re about to fling food across the room. Tell me in the comments: Do you feel like you’re telling your child no all the time? How do you handle it? Well said Oana, especially the part about being responsible to society for her behavior. I LOVED your “stay” story! 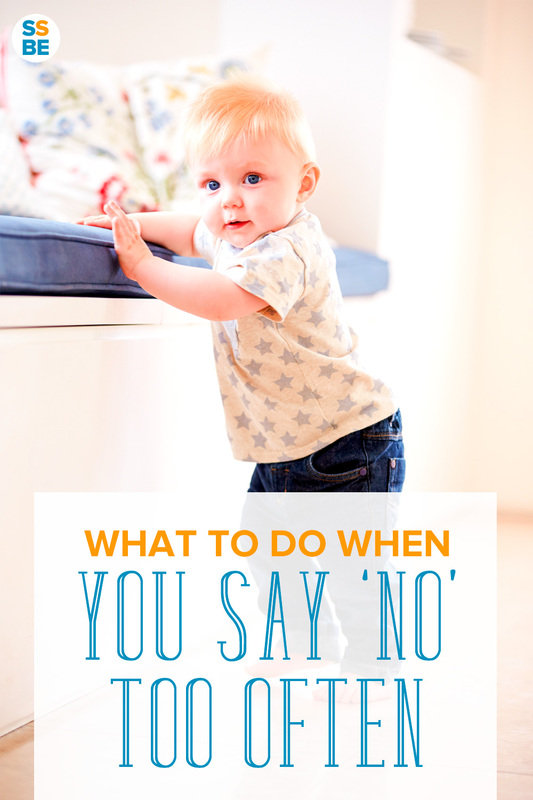 I do say no, sometimes, but I try instead to say things like, “can you please…” and “I need you to…” Sometimes those phrases are followed by the word “not” or “stop” – which isn’t very different from just saying no (more polite), but they are most effective when they are followed by a positive behavior that the child can do to replace the problematic one. I’ve gotten better at coming up with something positive they can do over the years, and I find that my kids are much more receptive about my talking to them about why they couldn’t do that first thing if they had a chance to do something that got a positive reaction from me first – even if it’s as simple as “can you please get me that piece of paper?” and THEN I’ll talk to them about why they can’t hit. I noticed too that including positive language helps steer my kid from outbursts. It’s like they just need that reassurance that we’re still on their side. You know what’s funny about The Look and The Sigh? That my son is only 19-months-old and has perfected a great mimic of The Sigh. And he is so prepared for The Look that he gives us one right back. And then it becomes a staring contest and we generally break first. Bad! And he says “no” like there’s no tomorrow. I do say it, but I hope not too much. I probably do say it too much. I never wanted to do it but they get themselves in situations and I have no time to think about what I should say instead. I think that’s my big downfall too; I react so quickly that I don’t stop to think, “Is there a better way to say this?” I just try to get in the habit of saying things more effectively so that THOSE become the habitual reaction instead of freaking out or getting too mad. This is a GREAT post — redirecting their attention works so well. And not putting them in a situation where you have to say “no.” I was given the advice to “save the no’s” for something that REALLY mattered like getting near the oven while it’s hot, etc. We saved the no’s … but when we would say “no! !” to him when he was around 2, he would BURST INTO TEARS because he didn’t want to do anything wrong and we’d hurt his feelings. It was so sad! ha! Haha aw poor kiddo! It’s true though; I think they can see in our reaction when it’s a “real” no—the way our eyes widen when we see them approach the hot oven for instance, compared to the nonchalant no when they’re simply playing with the blinds. And yes, my kiddo has also cried when we’ve been extra stern with saying no also! Thanks again for the post and take care. Keep an eye on your kids…the same thing happened to me when my then 20 month old got the Sudocream and applied it to the crotch area of all her soft toys. It’s so hard to wash out too! I have caught Lily role playing with her toys the other day, and I could hear her doing my voice saying ‘Don’t’ over and over again. If this is what she thinks of me I really need to minimise the times I keep telling her off. Oh wow I could just imagine the reaction you got when you saw all those stuffed animals haha. Had to be soft toys too. 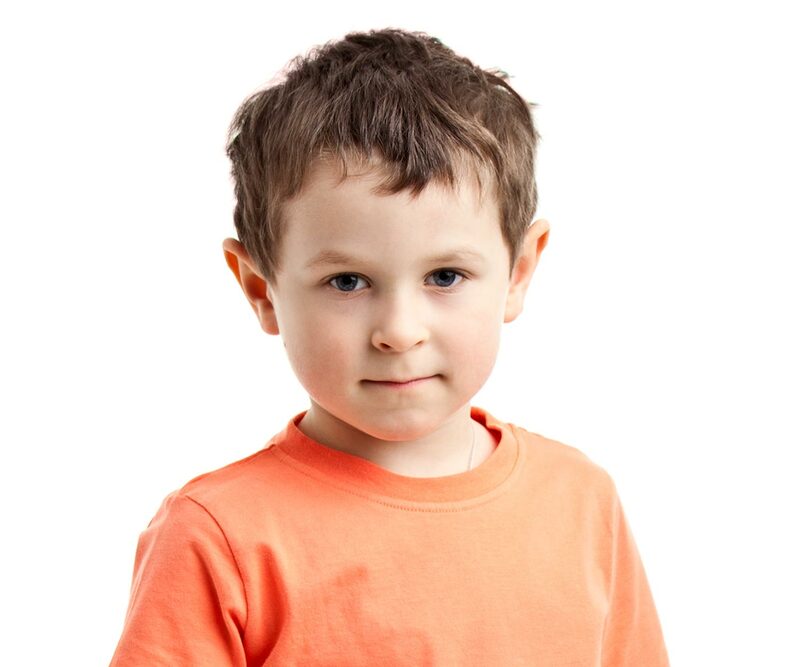 I’ve also heard my older son saying “Don’t” or “Stop” and I’m not sure if he’s role playing us or his teachers at school, especially since he’s “scolding” his classmates and says their names. Either way, it’s a bit disconcerting to hear. Great examples! We do get caught up in saying no too quickly just because we think we are anticipating what might happen. The couch made me laugh. When my son was 4 (he’s now 22) he kept jumping on the couch and I told him not to because I didn’t want him to get hurt. As soon as I walked away, he jumped on it again. He fell into the coffee table and broke his tooth in half, the root was exposed and the pain was excruciating for him. Since it was late at night we had to go the the ER but we were sent to three different hospitals before one had a dentist on staff. We haven’t had a coffee table since. My kids are 2 and 4 and I tell them no all the time. I wouldn’t say that I say it “too much” but it is a lot cause they’re into everything at this age! We have always been very aware of saying NO. It’s such a dead-end statement. I mean, sure, you don’t want your kid playing with scissors or jumping on the couch, but saying NO doesn’t give them better options. And NO doesn’t explain why they shouldn’t do what they’re doing. Even before Gavin could talk, we placed an emphasis on explaining why he couldn’t do something or why something else was a better option. We also let him figure out on his own why doing something wasn’t a good idea. (I won’t ever forget when he started pulling up on things as an infant and wanted to pull up on the kitchen trashcan. We kept telling him that it wasn’t sturdy and it was going to fall on him, but he needed to experience that failure to fully understand. We watched him pull up on the trashcan only to have it topple over on him. Yes, he cried for a few moments. But, he also never pulled up on the trashcan again. I think there’s an element to saying NO related to helicopter parenting. Are we saying NO because there’s a safety hazard or are we saying no because there’s an inconvenience factor to us parents if we let our kids move forward with whatever it is they’re doing? For us, we often try to let Gavin be a part of the solution, so we don’t have to say no again. Like this morning, when it was 3 degrees out and he wanted to walk to daycare. I told him we were going to drive and he almost lost his marbles. So, I told him to put on his coat, hat and gloves, and go out back. Once outside, I asked him if he thought we should walk to school or whether it was too cold. He admitted it was too cold and wanted to drive. End of conversation. Yes, one of the most effective ways to learn is through experience. There does seem to be an inconvenience factor when it comes to saying no, and often the best way to learn is to simply allow the kid to make his own mistakes (they’re the best teachers, aren’t they?). I love the example of letting Gavin step outside in freezing weather to decide for himself whether to walk to school or not! I would hope that those experiences weren’t so much a “told you so” type of lesson, but for us it’s really a way to get the message across. So much easier to explain no when he feels the cold air slapping his face than to take our word for it! 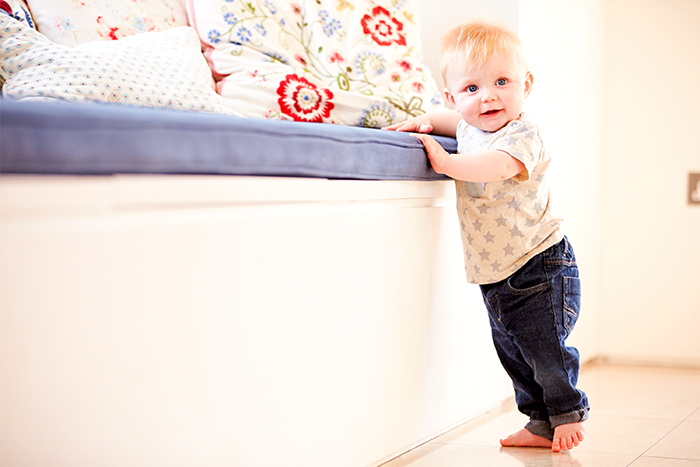 I love that your son used to say stay instead of no – that is so cute! I do say no a lot more than I’d like to especially as we’ve been staying with family and friends in houses that aren’t childproofed. We are moving to our new home soon and I’m hoping that will help a lot with cutting down on the no’s. Isn’t it difficult when you’re at someone else’s non-child-friendly home? It’s either there are so many things that could break, not enough space to play or toys to keep them occupied. It’s not their fault but it does make it harder to socialize when you’re keeping your eye on your kids! With older kids much of this post doesn’t apply to me, but the pick your battles part still rings true. I don’t want to be reprimanding or arguing with my kids all the time – I pick my battles and weigh in when it’s important. Then they know when Mom says no, she really means it.